MANILA: The Philippines raised the alert at its restive Mayon volcano by one notch early on Sunday, citing signs of rising magma that could lead to hazardous eruptions. Residents were evacuated from two villages near the volcano, a tourist attraction in central Albay province because of its near-perfect cone shape, following a “phreatic or steam-driven eruption” on Saturday. The explosion unleashed ash, rocks and sulphuric odour, and was followed by rumbling sounds and a faint glow in the crater, the Philippine Institute of Volcanology and Seismology (PHIVOLCS) said in its latest bulletin. 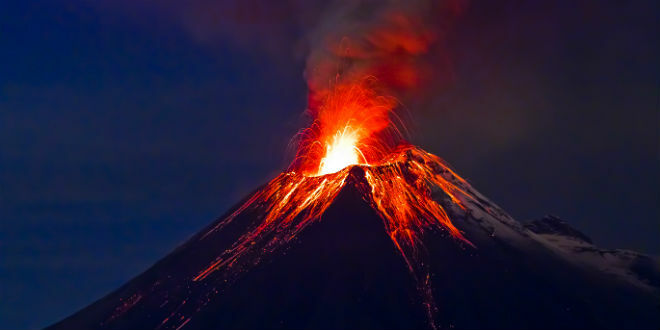 Mayon’s most destructive eruption was in February 1841, when lava flows buried a town and killed 1,200 people. It last erupted in 2014, spewing lava and forcing thousands of people to evacuate. “The public is strongly advised to be vigilant and desists from entering the six kilometres (3.7 miles) radius Permanent Danger Zone to minimize risks from sudden explosions, rockfall and landslides,” PHIVOLCS said. It advised people experiencing ashfall to cover their noses and mouths with a damp, clean cloth or dust mask. It also said aircraft must avoid flying close to the volcano’s summit. Those within the slope of the volcano, but outside the 6-km danger zone, were told to take precautionary measures against possible roof collapses due to accumulated ash and rainwater. PHIVOLCS chief Renato Solidum said the volcano appeared due to another eruption as it has been displaying abnormal behaviour since late last year. But Cedric Daep, head of the Albay Provincial Disaster Risk Reduction and Management Office, said those in evacuation centres may be allowed to return to their homes later in the day unless PHIVOLCS raises the volcano alert level further. He said not all residents evacuated live inside the 6-km danger zone.